Stephen “Wonderboy” Thompson has been ready to fight for a few months already but he kept running into the same problem over and over again. He just couldn’t seem to find an opponent. As a former two-time title contender still ranked in the top five at welterweight, Thompson would seem like the perfect opponent for anybody hoping to one day challenge for the championship but he was struggling to find anybody to face him. There were rumors that Thompson would welcome Robbie Lawler back to the Octagon but he ended up with a fight against Ben Askren instead. Thompson also seriously pursued a showdown against Santiago Ponzinibbio, who is currently riding a seven-fight win streak in the division. Unfortunately according to Thompson, the Argentinean contender just had no interest in facing him. “That’s another guy I tried to face, I tried to fight,” Thompson revealed when asked about Ponzinibbio. “The plan was to fight him in January. I was on Christmas vacation, still training cause it was to the point where I was just waiting on a contract. But I kept getting back, the UFC was saying he needed a little more time to prepare for me and things like that. 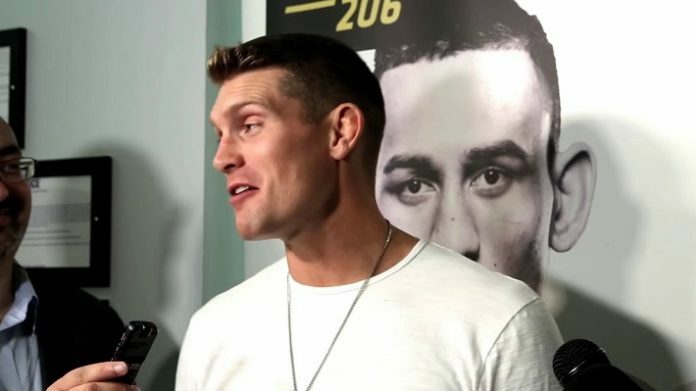 Thompson admits it got rather frustrating waiting for a ranked welterweight challenger to step up to the plate as he was anticipating a marquee fight for his return to action in 2019. The bright side for Thompson was former lightweight champion Anthony “Showtime” Pettis was not only willing to take the fight but he asked for it. He may not have a number next to his name in the welterweight rankings but Thompson knows Pettis has the skills to make noise at 170 pounds so he’s anticipating a war on Saturday night in Nashville. “You’ve got a lot of guys coming up from the 155-pound division and doing work at 170. Donald Cerrone, Michael Chiesa just came up and submitted Carlos Condit, who Anthony Pettis submitted,” Thompson said. “He’s no joke on the ground. He’s a high-level grappler. I think a lot of people underestimate that. I do have to be careful.